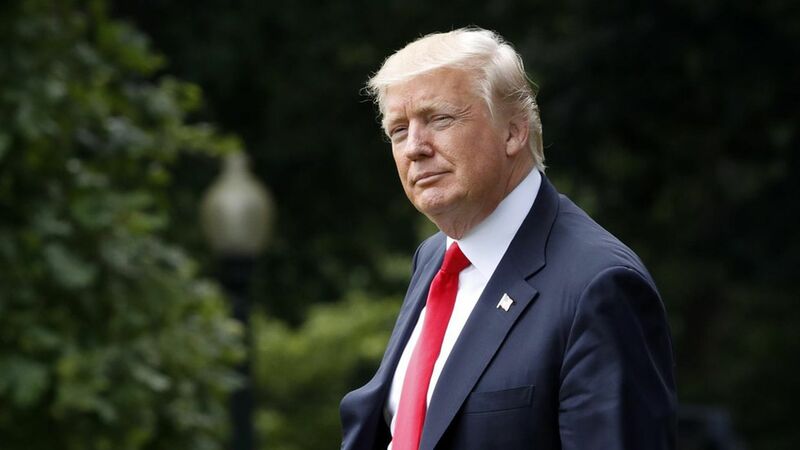 Trump blames Democrats for ACA "catastrophe"
President Trump gave Democrats a heavy dose of blame for the Affordable Care Act's troubles today as he pushed the Senate to act quickly on the repeal bill. "Obamacare is in a total death spiral, and the problems will only get worse if Congress fails to act," Trump said in Cincinnati, citing rising premiums, high deductibles and insurers leaving the markets. He accused Democrats of not helping Republicans pass a replacement: "The Democrats are really in our way." Between the lines: Trump's comments suggested he was trying to accomplish two goals: Make the case for repeal, and set up Democrats for blame if the bill doesn't pass. Yes, but: One of the insurers he cited — Anthem, which announced yesterday it will mostly withdraw from the Ohio ACA market — suggested the repeal effort was at least one of its reasons for pulling out.